Forget sitting on a stationary bike going nowhere or lying on your back waving your legs in the air, Skifitness.tv offers a step-by-step 3-5 month periodised conditioning programme. Designed for a first time skier or seasoned athlete to easily follow and achieve amazing results. Professionalise your ski fitness training with the latest training techniques and theory. Have fun, be time efficient and dramatically improve your performance on the slopes. This step-by-step 3-5 month periodised conditioning programme is designed for a first time skier or seasoned athlete to easily follow and achieve amazing results. A periodised conditioning programme takes you much further than just trying to get fit doing ‘ski specific’ circuits, better still, it gets you much fitter for skiing than… just skiing. This is because it identifies weaknesses in your chain of movements and strengthens them. The programme starts by building a core base, strengthening key muscles, improving power and only them moving on to the ski specific endurance exercises you probably know. There are six phases of the programme in the 6 Vimeos below. For extra details on sets and reps be sure to buy the book. Ski Myths – True or False? False: If you were only going to do one type of training, strength training would be best. Downhill skiing is mostly a power/endurance sport and lack of muscle strength and stability ‘haemorrhages’ aerobic energy. False: Pilates is a fantastic system designed for professional dancers to rehabilitate their back by working the muscles without the ‘axial load’ (spinal pressure from gravity) of dancing. Pilates is rehabilitation and is only useful if you need early stage rehabilitation for your back. Many people do need this but, make the mistake of not progressing their training back to being ‘normal’ standard. They then compound this by not further progressing, with the addition of ‘axial load’, to the high performance needed for sliding down a steep, slippery mountain. False: Again these are rehabilitation exercises only useful if you cannot function or ‘squat’ to ‘normal’ human being standard. Progression is the key. False: You cannot ever exactly replicate a day or weeks skiing in a class format. Ski fitness classes tend to work endurance not strength. A class format is not tailored to your unique needs and so it will also exacerbate the weak links in your ‘movement chain’. False: When skiing you will actually get progressively weaker and more susceptible to injury because you won’t have enough rest. It also exacerbates weak links in the chain and will do this increasingly the more tired you get. For example, the body is very clever and will ‘work around’ weak muscles but, if your core is relatively weak, the joints, such as the knee, will take more of the strain. When joints do more work than muscles injury is only a matter of time. False: You might lose weight but, you will not lose body fat. If you reduce calories you will have less energy available for skiing and your body will start to store energy as fat ‘for emergency use only’. You will also burn, use up, muscle and dehydrate accounting for any weight loss but, you will have more body fat and less energy to do anything about it! True: Fun, fresh air and a very functional exercise with very few biases to human alignment i.e. 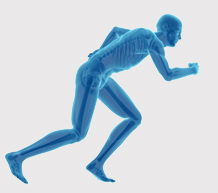 in line with the way the body is designed to move through 4 million years of evolution. Myth: You don’t need strong feet for skiing as they supported by hard boots. False: Surprising your feet work very hard when you are skiing. Weak feet are the main cause of boot pain. Strengthen your feet and lower legs by training barefoot or in minimalist/un-supporting shoes. The Ski Fitness book is an important accompaniment to the videos and vice versa. The book includes detailed schedules for programming and exercises details including sets, reps, rest, tempo, intensity, why you are doing the exercises, pictures and detailed technique descriptions. The book also includes a ‘success info’ chapter that gives you all the knowledge to help you get the most out of your training. Assessment (1.5hrs): Heart rate variability analysis (HRV), CHEK Posture, Core & Back, Movement Screening, Body Composition, Nutritional Assessment, Physiological Load. Programming: The in-depth assessments give a truly personalised programme that ensures you achieve the results you are looking for. It will include periodised progressions. Coaching Session (1hr): technique is everything when implementing the programme. This hour will teach you how to perform the programme correctly with regressions and progressions to ensure optimum results. Ideal for ski instructors to understand the latest training theory behind high performance as well as debunking some common myths and training errors. Ideal if you’ve started following the programme from the videos and the book. The next stage is to make sure your are interpreting it correctly, your technique is perfect and you are personalising it to your needs and goals. Ollie is a sports scientist, a CHEK Practitioner and has 25 years of experience coaching athletes. He played semi-professional rugby union, is a Ski Club GB ‘Gold’ skier and spends much of his time ‘playing’ in the Alps. 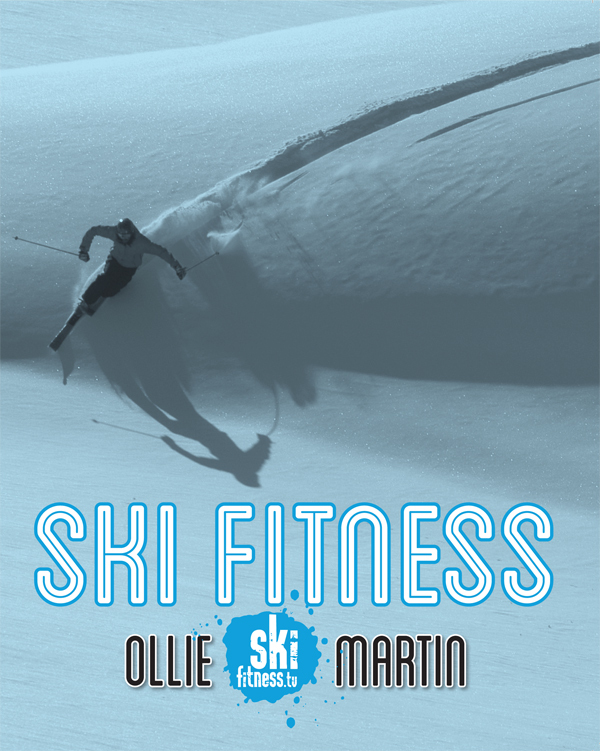 Author of ‘Uncommon Sense: A Practical Guide to Health, Weight Loss & Vitality’ and ‘Ski Fitness’, Ollie is based at his assessment and performance facility, in Surrey, UK. I wrote this book because I do not believe stationary cycling and Pilates will benefit your skiing as much as you hope it will. As far as I’m aware skiing, performed correctly, is neither sitting down or lying on your back and don’t even get me started on a squat with a ball behind your back! Fitness is very specific – you get what you train for. The winner of the Tour de France may be the fittest man on the planet but, he could not win the London Marathon and probably could not even ski down the Hahnenkamm let alone win it. 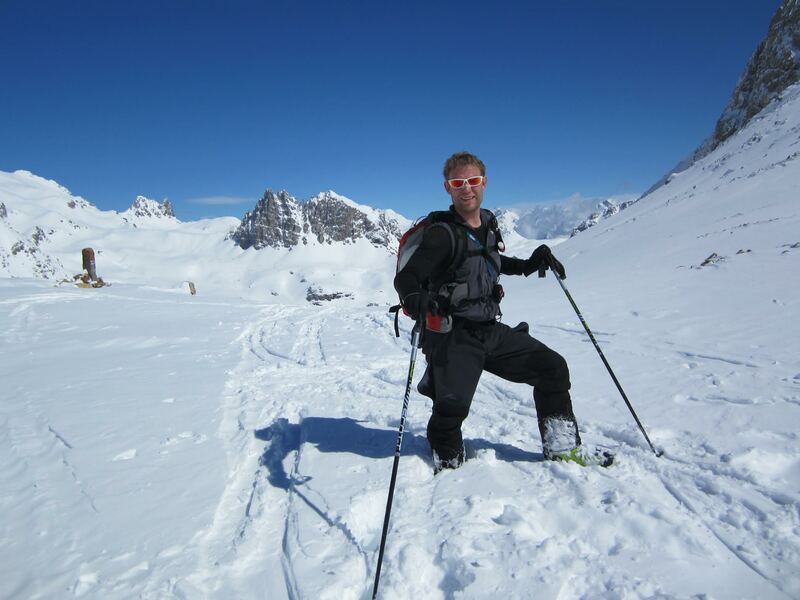 I am a passionate skier and believe that a bit of smart training beforehand can dramatically improve your fun. I have put together a comprehensive ski specific training programme that you can follow easily whatever your level. Furthermore, the detailed instructions, progressions and enhancements will enable you to tailor it to your individual needs. I have fine-tuned this over 20 years of training top athletes, obese couch-potatoes, children, septuagenarians and all those in-between. Yes, there might be some good ‘ski specific’ exercises left out of the programme but, trying do them all creates a poor programme. Rather than lots of exercises that try and replicate the skiing movements I have put together a periodised conditioning programme. A periodised conditioning programme takes you much further than just trying to get fit doing ‘ski specific’ circuits. Better still, it gets you much fitter for skiing than… just skiing. This is because it identifies weaknesses in your chain of movements and strengthens them. 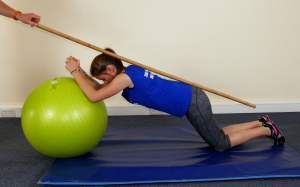 The programme starts by building a core base, strengthening key muscles, improving power and only them moving on to the ski specific endurance exercises you probably know. We currently have a sponsorship opportunity for snow sports athletes to receive assessment, programming and conditioning support from the team at skifitness.tv – contact us if you would like to apply. Bethany is our model for the Skifitess book and videos. She started skiing at the age of 4 and took part in the occasional fun race. Gradually from the age of 13 she started to take part in competitions progressing through local, regional and international races. She won her age category in most of the key UK competitions and finished in the top 3 within all age categories. 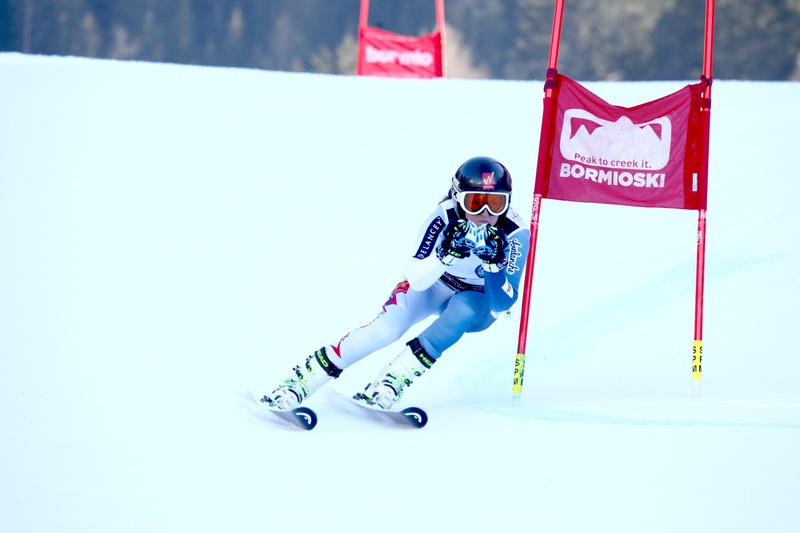 She races in Europe and has gradually reduced her World Ranking in both Slalom and Giant Slalom.